Here’s a peek inside the Suderburg Store, which operated out of Alder, Wash. As you can see, they had a little bit of everything. Elmer Suderburg was born on his father’s farm located approximately one mile north of the Alder town site. Elmer worked his father’s farm and later inherited it. The couple lived there all of their lives. 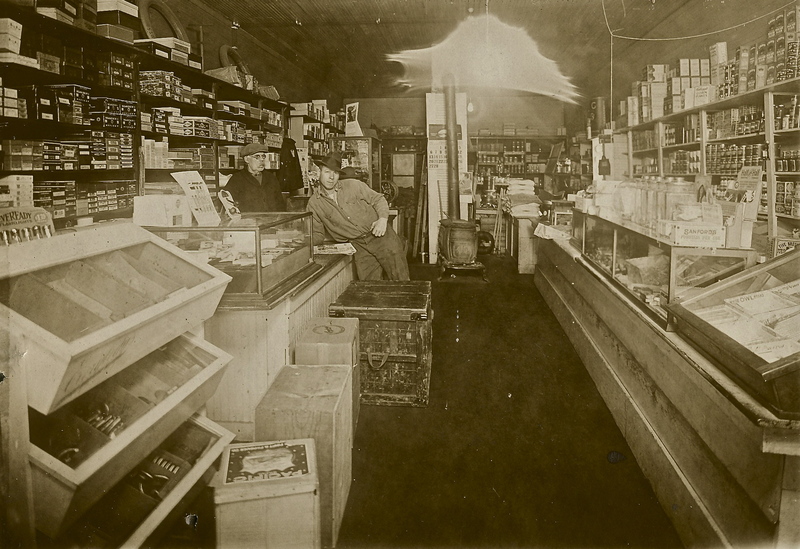 He also operated the Suderberg store in Alder for a time. 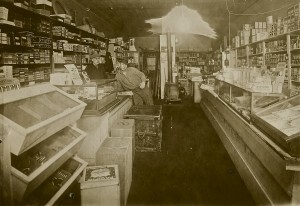 The Suderburgs owned a grocery and general store just below the new school grounds in the middle of the Alder town site. They had a small warehouse across the highway from the store and adjacent to he Alder railroad siding.